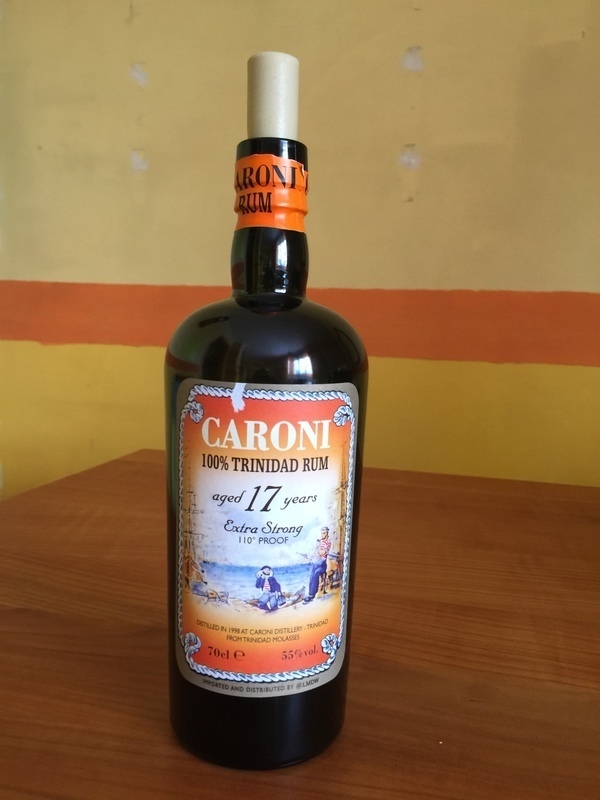 Have you found an online vendor selling Caroni Trinidad 17-Year? 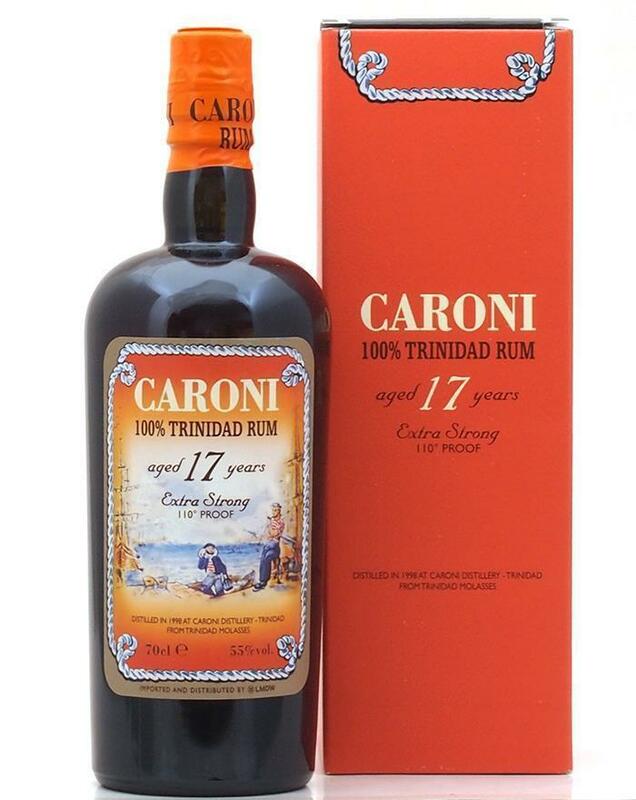 Near-perfect rum from the Caroni Distillery, 110 proof and 17-years-old. Burnt sugar, gingerbread, raisins, nutmeg...and the always-present freshly paved asphalt and burning tires. Layers of flavor assault your senses in wave after wave of amazing complexity. 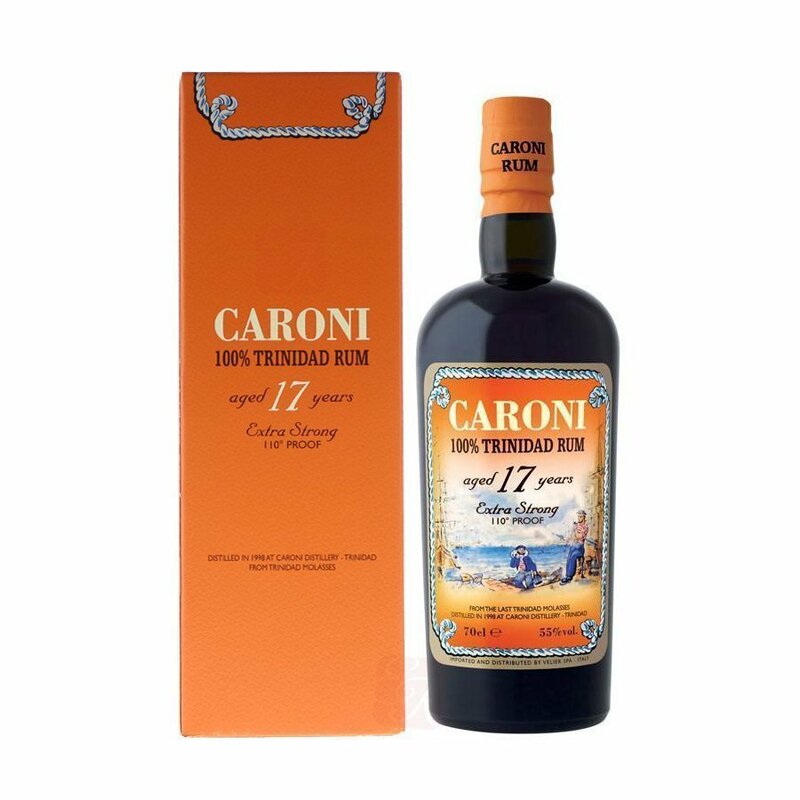 Caroni is the LSD of rums. Das hier ist schon ein verdammt guter Caroni,herrlich ausgeprägte Caroni typische Aromen und doch einigermassen zahm,schöner langer Abgang,etwas Honig,dezente Süsse. Mit rund 100 Müllos geschenkt in Anbetracht der momentanen Preisentwicklung. Bleibt lange im Mund und schmeckt nach Honig. Langer Abgang. Ein Rum zum Entdecken, in der Nase nach Gewürzen und Trockenfrüchten duftend. Liegt für mich zwischen 23yo und 21yo. Nicht so ganz meine Aromen, ansonsten sehr voll und sehr gut. A powerful yet subtle solution to your overproof needs. Very beautiful sharpness that elevates your senses with power. Clairement pas un rhum pour le premier venu. Un nez puissant, brûlé, pétrolifere et complexe, en bouche il explose littéralement, les 55' se font virile mais correct. Il dure et reste colle au palais... a posséder avant la pénurie ! Un rhum fort et fin! Tabac, fumé et fruits sont bien présent. Un rhum qui rappelle le whisky car bien sue fort il est délicat. 110 Proof! We have the classic Caroni asphalt and salty rocks, on the nose! This is a powerhouse of a rum. As soon as you open the bottle, you can smell it from half a mile away (slight exaggeration). The complexity is staggering. Velier always hits the mark. Le nez monte en puissance par rapport au 12 et 15, le fumé et le tabac sont plus présent ainsi qu’une touche de fraicheur fruitée. L’attaque est douce est offre un mélange parfait entre les saveurs florale, fruitée et pétrolifère typique de Caroni. Un vrai régal. Le final est également plus long que le 12 et le 15. C’est vraiment un rhum délicieux à ne surtout pas manquer pour tout amateur de rhum de caractère. The smell is more powerful than the 12 and the 15, smoke and tobacco are more present with a touch of freshness bring by fruity notes. The taste in mouth is offering a perfect blend of floral, fruity and petroleum flavors typical of Caroni. A real delight. The aftertaste is also longer than the 12 and 15. It really is a delightful rum, not to be missed for any lover of rum with character. On the nose there are notes of vanilla, woody notes and candied fruits ; apricot, mangoes. In the mouth finds the candied fruits with notes of honeys with the wooded in backdrop. Nice length in the mouth very persistent, one continues on the candied fruits with a lot of wood that leads us to the spices (cloves, cinnamon, ginger). But the guideline and typical of Caroni is asphalt, this persistant note is the essence of this distillery.